When the runner up for the REPS male personal trainer of the year for 2018 opens a CrossFit gym, you better bet the emphasis is going to be on good coaching. Abu Dhabi CrossFit trainer Gilbert Dougherty, the 27-year-old owner of LIFT CrossFit at Abu Dhabi University in Mohammed bin Zayed City, insists his coaches have at least five years of experience – and add to their knowledge with new coursework, taken at a minimum of every six months. But all that emphasis on form and function doesn’t come at the expense of something else Dougherty wants to offer his customers: a very good time. The company’s tagline is, after all, “bringing the party to CrossFit,” and Dougherty wants to build a real sense of belonging and community, as people spend more and more time on getting fit and staying healthy. “It’s about bringing energy to a class, bringing friendships together,” he says. 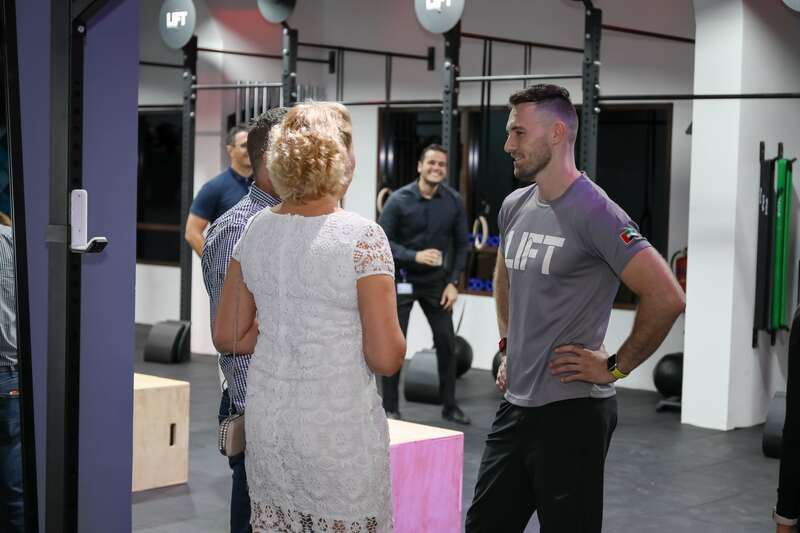 Lift CrossFit offers all the latest amenities in a 180-square-meter space for mixed classes and 150 square meters for ladies-only. Dougherty was always active, participating in Olympic weightlifting before finding CrossFit. But he traces his deep love for fitness back to when he was 19, studying sports science. After seeing a doctor because he was losing weight and experiencing night sweating, he was diagnosed with lymphoma. Training got him through a year of treatment, when he was restricted from most activities due to his low immunity. All these years later Dougherty doesn’t worry much about his health – but he does want others to feel all the benefits of fitness that he has. Giveaway alert! LIFT is giving a lucky livehealthy.ae reader two free personal training sessions. In these two sessions, you can learn the very basics and be prepped for CrossFit sessions – or to continue privately. To enter for a chance to win, follow livehealthy.ae on Instagram and tag a friend on the LIFT CrossFit giveaway post. Editor’s note: This article has been amended to reflect that Gilbert Dougherty is the runner up for the REPS male personal trainer of the year for 2018, not the winner.